Baker’s Premier Pelletized Limestone is mined directly from our quarry, a natural rich dolomitic limestone deposit in the heart of York County, PA. Lawn care professionals, retailers, and commercial landscape companies can depend on Baker’s lime to neutralize acidic soil in their lawns and replenish the crucial nutrients, calcium and magnesium. Baker’s Lime offers you the best of all bulk pelletized lime for sale. Its pellet size provides easy spreading with little dust. This water-activated pellet will break down into a finely pulverized limestone and begin working immediately. There are many pelletized lime uses. 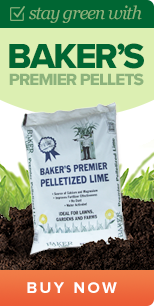 For a healthy, beautiful lawn or crops, the first step is to apply Baker’s Premier Pelletized limestone. Our bulk pelletized lime for sale acts fast to correct soil pH and naturally nourish the soil with calcium and magnesium. Baker’s Pelletized limestone is a practical and economical way to make expensive fertilizer work more efficiently for you. With pelletized limes many uses, professionals can count on Baker’s Premier Pelletized Limestone to satisfy the value demands of their customers. Since 1889 Baker Lime has been producing natural, high quality, high purity and particle fineness limestone that has made it an acknowledged leader. Few products on the market today can compare! 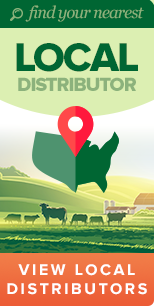 The tradition continues with Baker’s complete line of products for the lawn and landscaping professionals to the homeowners and agricultural and consumer markets. Whatever your liming needs may be, Baker Lime has the product, the high pure quality and commitment to providing the best value. The main differences between pelletized lime and Ag lime is the consistency of the limestone and how the limestone is spread. Agricultural lime is a crushed limestone that is used for large agricultural applications. However, pelletized lime is small pellets of limestone that made for smaller agricultural uses. Agricultural lime can be spread more quickly but it requires specialty spreaders to evenly distribute it. On the other hand, pelletized lime can easily be spread by hand to a small area of land. Again the main differences between these two types of limestone are their consistencies and application processes. Powdered lime is limestone that is created when limestone rock is ground into a fine powder. applying powdered limestone can be much more difficult than applying pelletized lime because of this consistency. Powdered lime can cause a lot of dust which can be a problem during the spreading process. While powdered lime has some great uses, if you are looking for a limestone that applies easily and breaks down nicely, pelletized lime is your best option. *Note suggested recommendation to maintain your soil if it is at a neutral pH. If your soil pH is not neutral the quantity may need to be doubled. Fertilizer loses its effectiveness in acid soils. 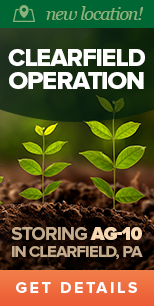 Up to 1/3 of fertilizer is wasted if the soil pH is 5.5 or less. Using fertilizer itself contributes to soil acidity. After three years of spreading fertilizer with no limestone applications, a soil pH can drop under a 6.0 level. When soil pH is controlled, fertilizers can work efficiently to provide long lasting, deep green lawns and high yield gardens. Contact us about our bulk pelletized lime options today! Contact Us Today to Recieve a Quote!